Classic 1890s W.B. 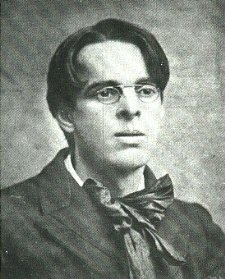 Yeats, with spectacles, in his patented "poet outfit." When the London temple revolted against Mathers in 1900, Yeats became Imperator. He remained a major force in the splinter of the Golden Dawn known as Stella Matutina well into the 1920s.